The material design of YouTube is now live and you are allowed to enjoy it for free. Recently Google has been rolling out the material design for everything possible, after rolling out the material design for Google Account Login screen they have launched YouTube material design and you can access it by visiting https://youtube.com/new this URL. 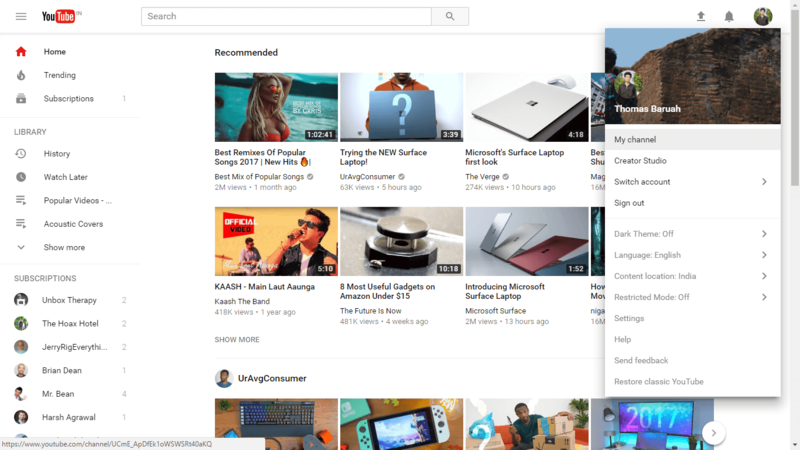 New YouTube Material Design brings a lot of new layout and designs to the homepage of YouTube, Channel page and every page within YouTube. Below I have attached a demo of the new homepage of YouTube with the links to go to my channel. 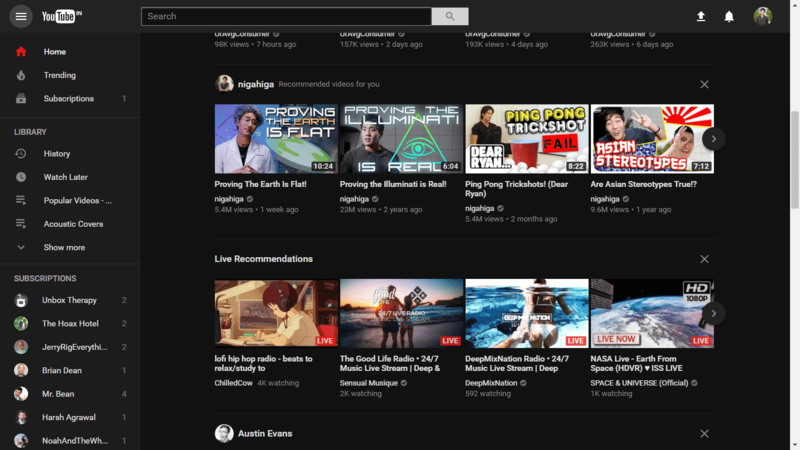 Previously I have shared a trick with whom you can enable the secret dark theme on YouTube, but you don’t need to apply any trick. The dark mode my YouTube is officially added and you can enjoy it without any restrictions. YouTube now looks more beautiful and suits for the generation.